De-stem the chiles (if they have stems). You can remove the seeds too to reduce the heat, but we left ours in. We are using dried de arbol peppers here. 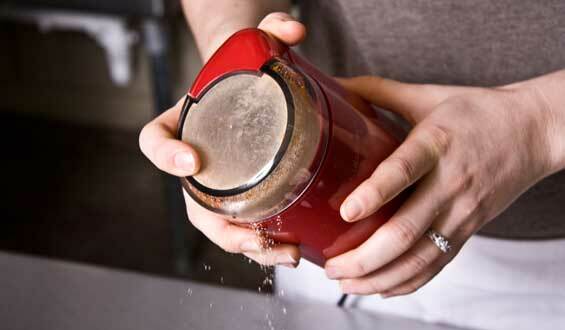 Grind the toasted pepper in a spice or coffee grinder. When you need to clean out the grinder, grind up some white rice and wipe it clean with a dry cloth. 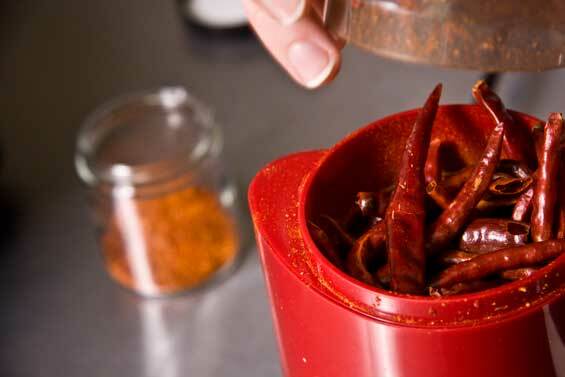 Any bulk dried chilies can be used to make chili powder at home. Dried chipotle chilies, and dried habanero peppers work well. 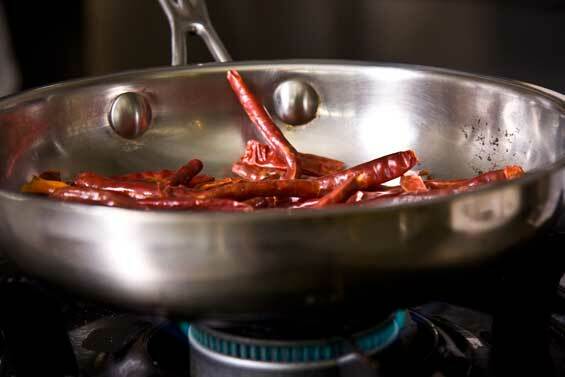 Dried aji panca peppers can be used instead for a more mild and fruity chili powder, and ground thai chilies work well in Asian-influenced dishes. 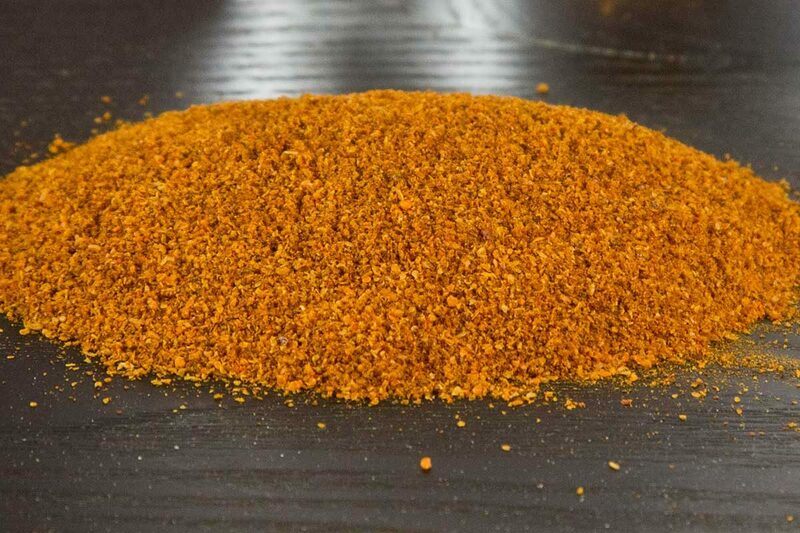 If you’re planning on using a lot of chili powder and don’t want to go through this process, browse our bulk chili powders, each made from just one variety of chili for pure flavors. Uh oh. Didn’t know to heat them and all. However, I must say that we ground the habaneros and used them and the flavor has been amazing. We will never go back to store bought spices for chilies again. So even though I didn’t know the proper steps, I did not manage to ruin the flavor. Just in case someone needs to know. Lynn A. Nice presentation. Keep up the good work. As I understand, the heat is in the capsaisin glands, rather than the seeds. Prior to reconstituting, I like to remove the seeds and stems being careful not to remove the membranes where the heat lives. This is a little work, but worth it in the end if you want to preserve the fire and still lose the seeds. I toasted and ground 3 different chilis with cumin seed to make Alton Brown’s chili powder recipe. I love it. It’s the southwest flavor I’ve been looking for. I use it in a lot of recipes and we no longer buy taco seasoning.